Live muziek tijdens jullie bruiloft. Op de mooiste dag van je leven zorgt live muziek voor mooie herinneringen. Muziek is emotie, je voelt het en het maakt jullie huwelijksdag extra speciaal. Jonny Smokes zorgt er samen met het bruidspaar voor dat het een dag wordt om nooit te vergeten. Van alles is mogelijk, van een akoestisch optreden tot een volledige one-man-band, van rustige achtergrondmuziek tot een live-show die de gasten laat zingen en dansen. On the most beautiful day of your life, the music you chose makes everything come together like sweet harmony. Jonny Smokes takes special care of the wedding couple’s music, helping to make it a day to remember with joy and love. During reception: During this important gathering, the focus is on the couple, but the music sets the mood. Festive, but not too loud, a semi acoustic performance during the reception is ideal. 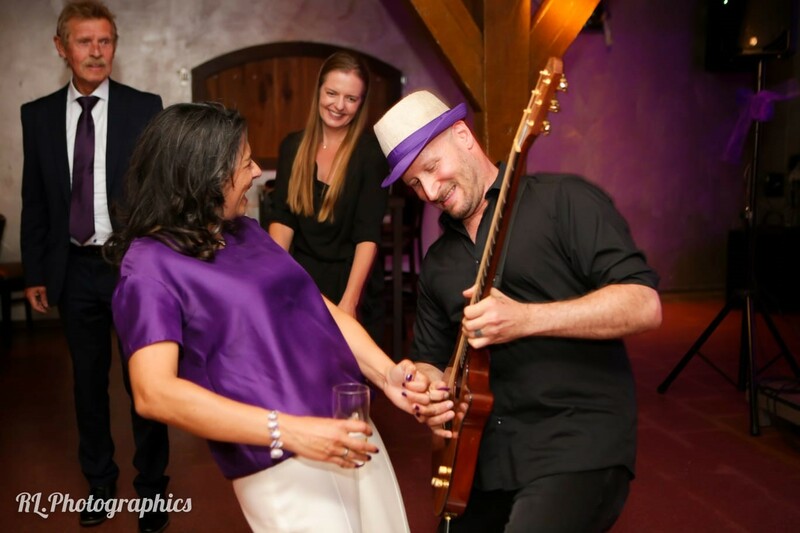 Jonny helps fill the atmosphere of your special day with love and good vibrations. During dinner: During dinner, guests are welcome to talk to each other. Beautiful, quiet background music gives a nice atmosphere. Acoustic or light amplified, with or without vocals. DJ services are also available with a great playlist of quiet love songs and family favorites. During the party at night: Jonny Smokes can fill a whole stage full of instruments and create a unique live band experience for your audience! He combines the wow factor with a great sounding live show that lets people sing and dance all night long. Available with a full PA and specialty lighting show, with DJ services as well. From live music to all your favorite party hits, your wedding will look, sound and feel amazing.